 Explore the basics of how a standard 4-Point wheelchair securement works, the products needed, and how they work together. 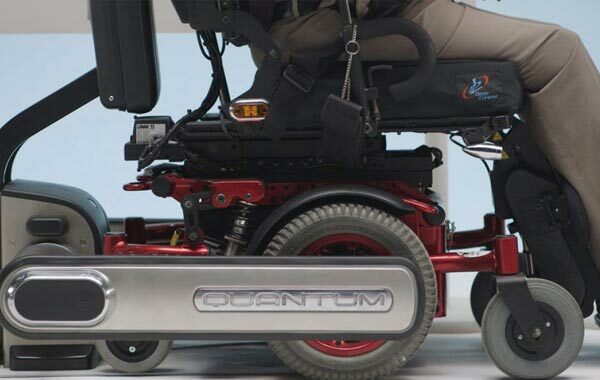 More than 30 years ago, Q’STRAINT introduced the world’s first fully integrated 4-Point wheelchair passenger securement system, which has become an industry standard the world over. Each component of a 4-Point securement is designed, engineered and tested to work as one cohesive system. In the event of a collision or sudden stop, the system isolates the forward forces of the occupant from those of the chair by directing the chairs’ forces to the vehicle floor. 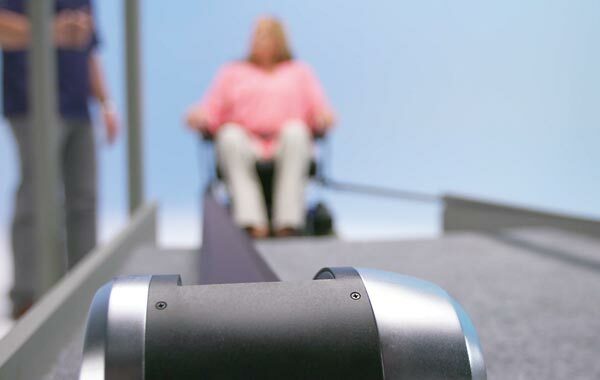 Retractable QRT™ Series or manual belts for securing the wheelchair. Manual or combination lap and shoulder belts for securing the occupant. 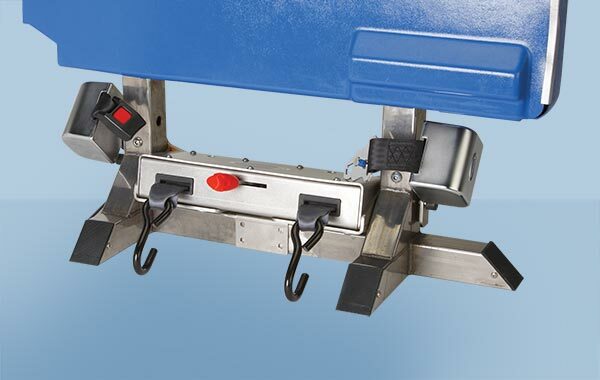 L Track, Pockets or Slide ‘N Click™ anchors fasten restraints to the floor. The QRT series of retractors make up the most popular and proven 4-point systems in the world. The securement is process is quick and concise, and every retractor meets or exceeds all standards and regulations, including crash testing. The complete QRT line of retractors offers a solution for every need and every budget. While not as easy to use or maintain, manual tie-down systems are still effective. 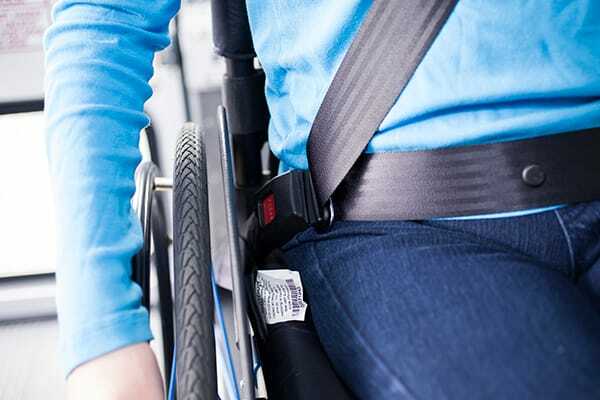 Q’STRAINT offers a range of fully-tested manual tie-downs that use a cam or over-center buckle-design to safely secure wheelchair passengers. A single, non-retractable fixed-point belt, featuring a traditional ‘seatbelt’ type buckle and connector. These adjustable belts fit around the occupants’ waist and attach directly to rear retractors. A single, non-retractable fixed-point belt, which fits around the occupants’ shoulder and is then mounted directly to the vehicle sidewall and adjusted. Integrated belt systems incorporate both lap and shoulder belts together into one system. Available in both manual and retractable configurations, combination belts come affixed with retractors or fittings to suit your specific needs or vehicle layout. 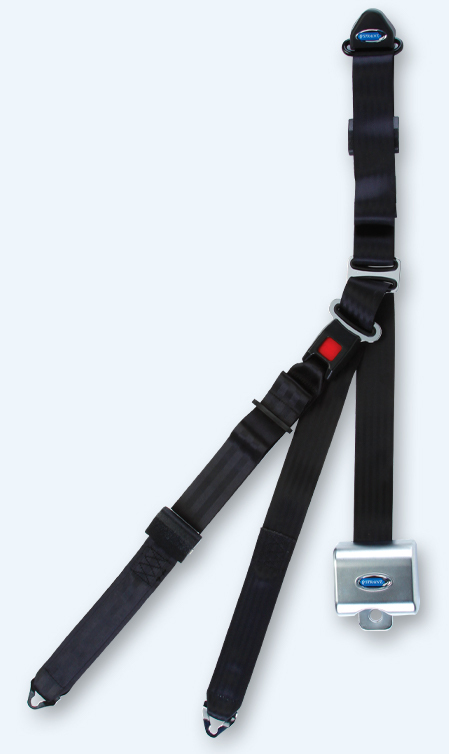 (Retractable Combination Belt with Height adjuster shown here). 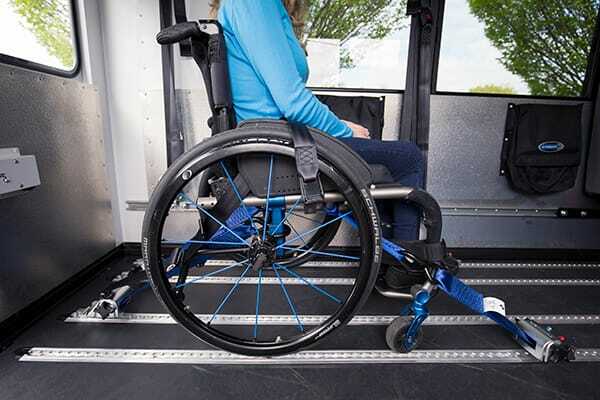 For vehicles with designated wheelchair securement locations using 4-Point Securements, fixed location floor anchorages are “Pockets” which are used to secure each retractor or tie-down to the floor. The most widely used floor anchorage in the industry, L-Track is a length of pre-drilled track that can be installed throughout the vehicle and used to secure retractors or tie-downs to the floor and walls. 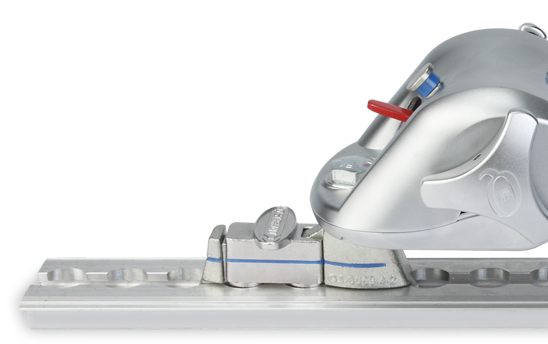 The versatility of L-Track gives operators the freedom to accommodate virtually any 4-Point Securement location. Designed for agencies that require total flexibility in a mixed-brand environment, OMNI approved anchorages take the guess work out of securing your passengers. 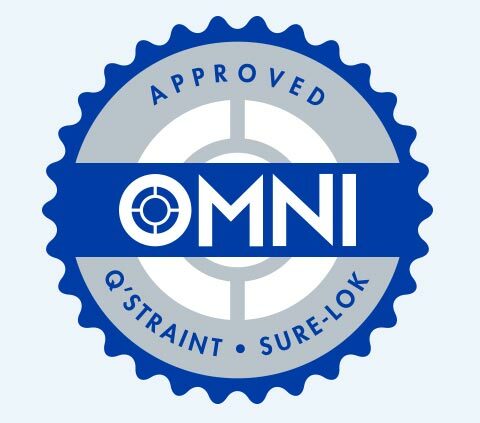 Just look for the OMNI Approved badge to know which anchorages are compatible with both Q’STRAINT and SURE-LOK systems. IMPORTANT: All 4 retractors in a 4-point securement must be either Q’STRAINT or SURE-LOK — never mix brands. OMNI anchorages are strictly tested and certified to be used with approved Q’STRAINT and SURE-LOK systems. Other non-approved systems should never be used with OMNI anchorages. 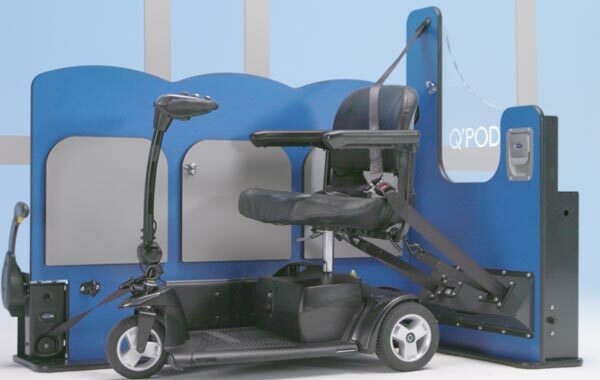 These systems go beyond the standard 4-Point system, offering more convenience, more features, and more safety for both operators and mobility riders.